East Texas– With fall in full swing and winter approaching people are curious about what Mother Nature has in store. If the Doppler radar bores you or if you enjoy a bit of folklore, there are other ways to predict the weather. Folklore reveals that superstitions about persimmon trees may help cure warts, cancer and even predict weather, even Texas weather. According to East Texas weatherlore, persimmon seeds can be used to predict the severity of upcoming winter weather. A persimmon seed when cut in two pieces, split along its natural seam, will display one of three symbols; a knife, a spoon, or a fork. If a knife shape is revealed within the seed the approaching winter is believed to be cold and icy. The anticipated cold wintry weather is believed to “cut through you like a knife,” as some might say. If a split persimmon seed reveals a spoon the area is believed to be expecting wet conditions, snow, and lots of it. The spoon is suggestive of a shovel that can be used to dig out of the snow. If a persimmon seed reveals a fork the legend indicates the approaching Winter will be mild, and could perhaps be accompanied by a light feathery snow. The 2011 Farmer’s Almanac gave its persimmon report recently, which reported mostly spoons throughout the U.S. and a few knives here and there. Elana Goolsby has a large persimmon tree in her pasture in Grapeland, which is located in Houston County. She does not harvest the fruit, nor does she pay it much mind. She commonly forgets the tree is there until someone who passes by about sunrise in the late fall calls to inform her that a large buck is feeding on the persimmons. MYETX.com harvested multiple persimmons from Goolsby’s tree this year in order to take a peek at what winter weather may be in store for East Texas. Five seeds were split and observed. Each seed revealed a spoon. According to legendary folklore and Goolsby’s persimmon seeds, the Pineywoods of East Texas can anticipate more of the flaky white stuff, and we aren’t talking about dandruff. Persimmon fruit was once a much sought after delicacy used for breads and puddings by our nation’s forefathers and Native American Indians. Now persimmons are more of a curiosity and a nuisance. The ability of this seed to predict winter weather is one way for us to reconnect to the foods of our past. Weatherlore, like that of folklore, has been handed down from one generation to another. “Lore” predictions for winter weather seem as popular today as they were years ago. Other Weatherlore suggest winter will be colder if heavy crops of berries are found on holly and dogwood trees, rolling thunder is heard echoing in the late fall, trees shed their leaves before their color change is complete, and if chimney smoke flows toward the ground. Try out some old-fashioned forecasting that some say still works today! Here are some popular ways and sayings to use signs from nature to predict the weather. When clouds appear like towers, the Earth is refreshed by frequent showers. Rainbow in the morning gives you fair warning. Ring around the moon? Rain real soon. Red sky at night, sailors delight. Red sky in morning, sailors take warning. Rain foretold, long last. Short notice, soon will pass. Weather information is provided by the National Weather Service, Regional Weather Centers, and Local News Stations. Citizens are fortunate to have these sources for weather information, and should rely on the accurate and timely information these sources provide. Nevertheless, folks have been making weather predictions long before weather specialists and the sophisticated equipment they utilize came into play. Years ago, and for many years, people relied on signs from nature to guide them and predict upcoming weather. PALESTINE- This holiday season, Palestine Community Theatre will present the heart-warming story of “Christmas Gifts” written and directed by Palestine native Jamie Waldon King in a one weekend only performance Dec. 13-15, sponsored by Mary Alice Largent of Century 21. “Christmas Gifts” is the story of five couples with five different Christmas wishes. 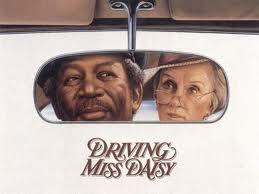 HENDERSON- Henderson Civic Theatre will present “Driving Miss Daisy” this February. Rehearsals are underway and the show will open February 8.